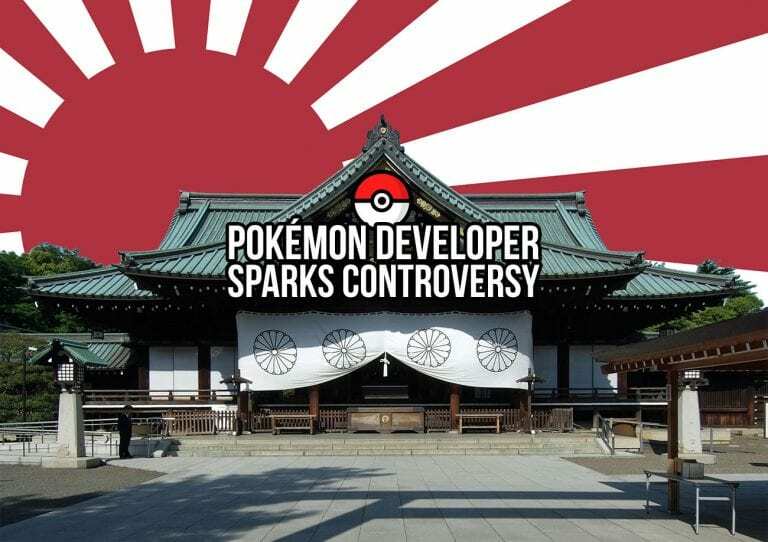 Creatures, Inc., a frequent developer or co-developer of many Pokémon games, has ignited a storm of a controversy after posting pictures of a visit to Yasukuni Shrine on their official Twitter account. The Shinto shrine is a very sensitive issue in Asian politics because of its association to Japanese nationalism and the enshrinement it offered to some of World War II’s worst Japanese criminals, which are often compared to Nazi figures of the West. Although the post has been deleted (the text of which contained no controversial sentiment), Creatures has not made an official statement regarding it. Many tweets can be found in Japanese asking for a formal apology or vowing to stop purchasing any games developed by them. Korean and Chinese fans, countries who fell victim to Japan during its conquests, have expressed particularly strong reactions on social media. The choice of shrine was likely not political, as Creatures’ headquarters is located nearby. It is common for Japanese people to visit Shinto shrines during January to pray for good luck during the new year. That being said, there is now a Pokémon decorated ema (or wooden prayer plaque) from an officially affiliated company hanging at a shrine which unapologetically honors war criminals. Let us know what you think in the comments below. 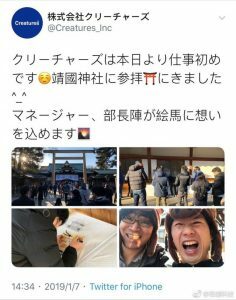 I actually visited the Yasukuni Shrine last year or the year before on a sightseeing trip, but it is certainly not a location I’d choose to snap a smiling selfie at.